Want to get the word count in Excel? Believe it or not, Excel does not have an inbuilt word counter. A cool bunch of excel functions (or a little bit of VBA if you’re feeling fancy) can easily do this for you. Before I give you the exact formula, let’s quickly cover the logic to get the word count. Suppose I have a sentence as shown below for which I want to get the word count. While Excel cannot count the number of words, it can count the number of spaces in a sentence. So to get the word count, we can count these spaces instead of words and add 1 to the total (as the number of space would be one less the number of words). There are multiple spaces between words. So let’s see how to count the total number of words in each case. This would return 7 as the result. LEN(A1) – This part of the formula returns 26, which is the total number of characters in the text in cell A1. It includes the text characters as well as the space characters. SUBSTITUTE(A1,” “,””) – This part of the formula removes all the spaces from the text. So the result, in this case, would be Letthecatoutofthebag. LEN(SUBSTITUTE(A1,” “,“”) – This part of the formula counts the total number of characters in the text that has no spaces. So the result of this would be 20. LEN(A1)-LEN(SUBSTITUTE(A1,” “,“”)) – This would subtract the text length without spaces from the text length with spaces. In the above example, it would be 26-20 which is 6. =LEN(A1)-LEN(SUBSTITUTE(A1,” “,“”))+1 – We add 1 to the overall result as the total number of spaces is one less than the total number of words. For example, there is one space in two words and two spaces in three words. Now this works well of you have only one space character between words. But it wouldn’t work if you have more than one space in between words. In that case, use the formula in the next example. In this case, there are mutliple space characters between words. To get the word count, we first need to remove all the extra spaces (such that there is only one space character between two words) and then count the total number of spaces. This is a similar formula used in the above example, with a slight change – we have also used the TRIM function here. Excel TRIM function removes any leading, trailing, and extra spaces (except single spaces between words). The rest of the formula works the same (as explained in Example 1). Note: If there are no spaces between words, it is considered as one word. 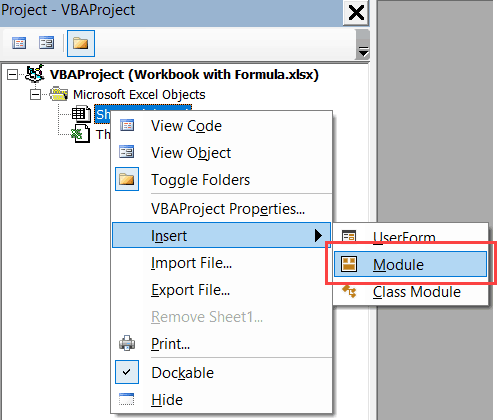 While the above formulas work great, if you have a need to calculate the word count often, you can use VBA to create a custom function (also called a User Defined Function). The benefit of using a custom function is that it’s easy to use. Here is the code that will create this custom function to get the word count in Excel. TextStrng = "The Quick Brown Fox Jumps Over The Lazy Dog"
Once created, you can use the WordCount function just like any other regular function. Note that this function also handles leading, trailing and double spaces. In the above example, the word count is the same in all the three cases, and the formula used is also the same. Using Multiple Criteria in Excel COUNTIF and COUNTIFS Function. 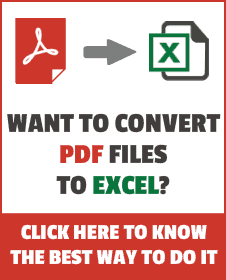 How to Add Leading Zeroes in Excel. I don’t get it – “Let the cat out of the bag” is 7 words… how do you get a result of 9?